A few observations – 1) Bob Dylan has written rather a few great songs; 2) pretty much everyone and their mothers have covered a couple of them; and 3) just because you’ve managed to memorize the lyrics and can carry a tune doesn’t mean you can pull it off. Few people will argue that Bob Dylan has what would be classified as a “good” voice, but many of us will argue that he is a great singer. Great songs tell stories, reveal character, and exorcize demons – great singers communicate the underlying pathos. 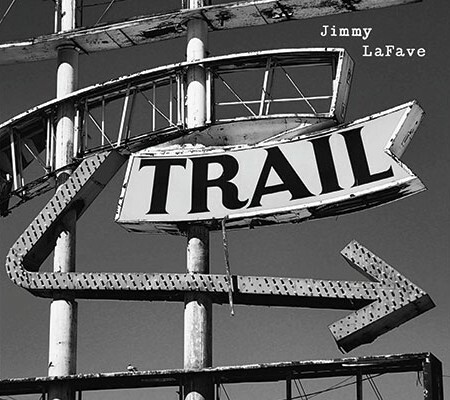 Jimmy LaFave is a great singer. And on Trail(s) Two & Three he surveys a variety of the Bard’s songs – some old stand-bys; others a little off the beaten path – as well as a few rock, country, and blues chestnuts. Jimmy’s originals are liberally dispersed through both sets and offer ample evidence of his quality as a songwriter.